Packaging: Plastic bag then carton box or woven bag or according to your requirement. Alkali resistant Fiberglass Mesh is made of quality filamentary plastic coating glass fiber yarn by special weaving technique. Feature of Fiberglass Window Screen: It has plain and neat appearance, good season-fitting, steady and soft color. Usage of Fiberglass Wire Cloth: It is the first choice for home, hotel and offices for keeping out flies and insects as Window Screening. Advantage of Fiberglass Insect Screen: Fiberglass Window Screening has the properties of alkali resistance and high tensile strength. Which will bring people a comfortable feeling. Packing of Standard Fiberglass Mesh: The mesh is packed with brown paper or plastic cloth, then 6rolls or 8rolls were loaded with weaving bag or strong carton. Other packing can be provided according to your requirement. We also provide Plastic Window Insect Screen, Stainless Steel Woven Mesh, Galvanized Wire Mesh and Aluminum Wire Mesh. All could be used as Mosquito Mesh. 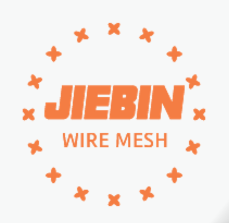 Looking for ideal Fiberglass Wire Mesh Manufacturer & supplier ? We have a wide selection at great prices to help you get creative. All the Fiberglass Window Screen are quality guaranteed. We are China Origin Factory of Fiberglass Wire Cloth. If you have any question, please feel free to contact us.